Stunning, large, beach bungalow nestled on a secret grassy reserve that shares extensive views of both the ocean and harbor. Villa includes all the comforts of home (4 bedrooms, 2 bathrooms, 2 lounges, table seating 8, bbq, 42” lcd tv, 2 fridges, games, washer and dryer, and a spa pool) and two decks to enjoy the beauty that surrounds us at Port Ohope. We are a brief walk from the beach, harbour, wharf, boat ramp, walking trails, and the golf club. A cafe and dairy, Fine dining restaurant, Fish and chips shop, bike and stand up paddle board rental and holiday park are all in the neighborhood. Within driving distance you can enjoy: hot pools, mountain bike trails, horse riding, ropes course, charter boat hire, surfboard and kayak hire, tramping, lakes, pa sites, helicopter rides, tours to white island, berry picking, hydroslide and pool, and shopping / dining in Whakatane. ***Beds for 8, but could sleep up to 14 if you used our couches. Pets and large groups could be considered with additional $500 refundable deposit and prior approval. There is a cat that often lives on the property. My husband and work in the education field and periodically rent out our home so people can experience the wonders of our area. We love our area. There is so much beauty surrounding us. And fun outdoorsy thing to do with your family. Our bungalow is large with lots of places to hang out and includes all the comforts of home (4 beds, 2 bath, 2 lounges, spa pool). We have amazing views of the harbour, a deck overlooking a secret grassy reserve out back, and views of the beach and sand dunes out front. The Eastern Bay of Plenty is a rural area and a hidden gem of NZ with many walks, rivers, lakes, and beaches to enjoy. Ohope is a quaint village outside of the rural city centre of Whakatāne. Whakatāne township is the gateway to the White Island valcano sitting off our coast as well as to the Eastern Cape of NZ. Our Beach Bungalow has views of both the beach and the harbour. Both are just a few minutes stroll away. The bungalow had everything we needed for a family holiday (there were 8 of us) we all had an amazing time. Whilst we like to explore different areas of New Zealand we would seriously consider returning to Ohope and the Beach Bungalow. Great house and brilliant location close to both the beach, the estuary, the port and Port Ohope stores. Great for our larger group and the spa pool was a bonus. Would definitely consider staying here again. Villa is excellent place for taking children. Villa is excellent place for taking children. 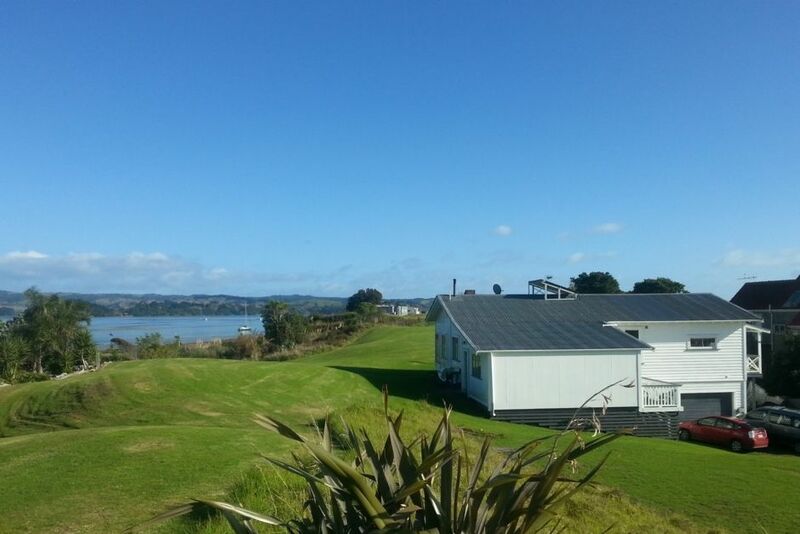 Backs onto a reserve so when not at beach kids can run round outside in a safe environment. Villa is very roomy, clean and well appointed. A great place to stay. Ohope Beach is NZ's favorite beach. Within minutes are amazing: hikes, fishing, beaches, biking, golf, jumping off the wharf & cultural attractions. Within an hours drive are: lakes, rivers, Adrenalin Forest, Zorbing, Waimarino, Zip Lines, hikes, Mountain Biking, and all the city centres of Rotorua & Tuaranga have to offer.